Pho Hung Vietnamese, Sunnybank Plaza, Sunnybank, Brisbane - my name is Food. 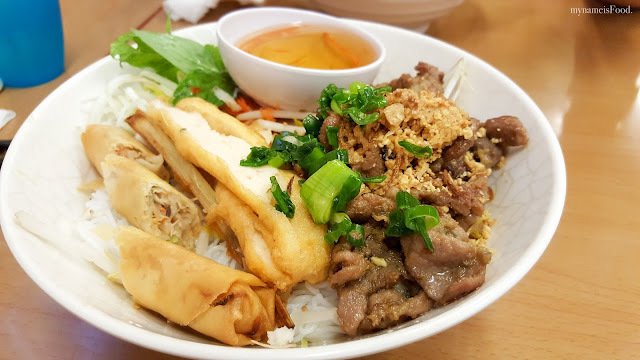 Pho Hung has always been a place to go to when looking for Vietnamese food although I used to go to the other Vietnamese restaurant in the plaza when it came for Pho but when it came to Bun-Thit, Pho Hung does a better one. Why? Because they always have a Combination Bun-Thit. 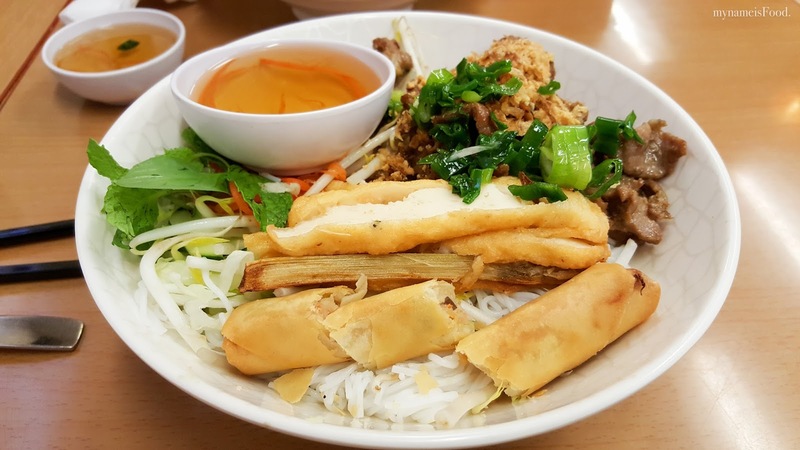 'Combination Vermicelli' (AUD$15), the prices just simply keeps going up I realise, maybe due to the ongoing competition and the opening of more Vietnamese restaurants here and there. The combination consists of grilled pork, sugar cane prawn and spring roll all topped on top of a bed of vermicelli noodles, salad such as sliced carrots, bean sprouts and lettuce and all you have to simply do is just pour the sauce which is more of a tangy sweet and sour sauce and mix it altogether.